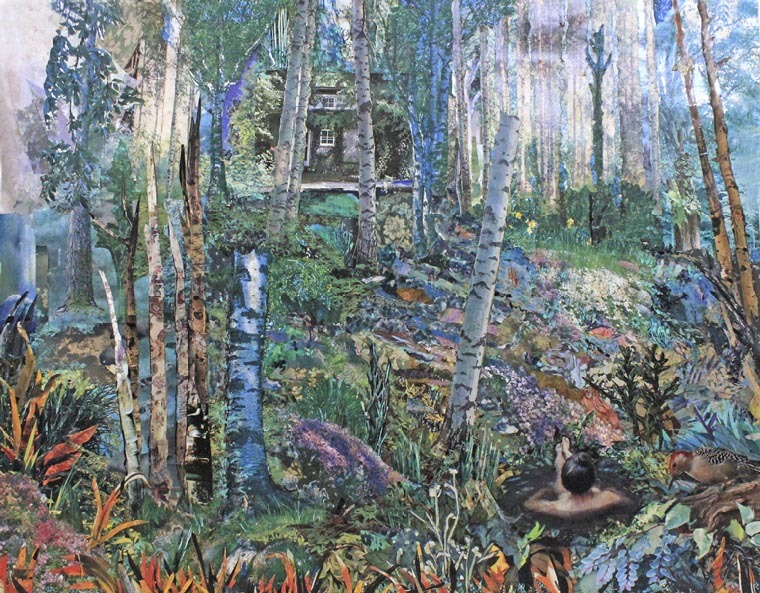 Patricia’s paintings have been the subject of three solo shows and numerous group exhibitions including 1st Nanning China International Watercolor Exhibition 2016, World Master Watercolor Exhibitions Thailand 2016, Shenzhen International Watercolor Biennial 2013, 2015, World Watercolor Triennale Korea 2015, Thessaloniki International Watercolor Salon 2015, FrabrianoInAcquarello 2015, Watercolor Triennale Colombia 2015, Mexico City 1st International Watercolor Exhibit Mexico 2015, World Watermedia Exposition Thailand 2016, 2014, 2012 Shanghai Zhujiajiao International Watercolour Biennial, International Guild of Realism Annual Exhibits, Mexican Society of Watercolor Painters Exhibits, International Watercolor Biennials by the National Watercolour Museum (Mexico) among many others. Her work has been recipient of numerous awards and recognition such as 1st Place Portrait/Figure category of The Artist’s Magazine’s Annual Art Competition 2016, 1st place Compétition d’aquarelle – Watercolor Competition 2014 : realism and impressionism, First Degree at the III Art-Bridge-Watercolor International Competition 2015 by The Saint Petersburg Watercolor Society, 1st Prize Mexican Society of Watercolor Painters Award 2015 and 2011, Janice and Mayur Pioneer in Realism Award by the International Guild of Realism 2011, Tlacuilo -top award by the National Watercolor Museum in Mexico 2011, Honorable Mention at the Acrylic Artist Competition by The Artist’s Magazine 2012, finalist in the challenge ‘Favorite Subjects’ by the International Artist Magazine 2009, among others. Guzman’s work has been published at the books SPLASH 13, SPLASH 16 and SPLASH 17: Best of Watercolor Series; as well as AcrylicWorks: Best of Acrylic Competition 2013. Several magazines such as Watercolor Artist Magazine 10 page article (2016), International Artist (8 page spread, 2014), Revista Mexicanísimo 6 page article (2016), Revista Ambientes (Mexico, 2015), Thunderbird Show Park Magazine 2011 (Canada), Revista IMPACTO 2011 (Mexico), Revista Castálida 2012 (Mexico), etc. As well as in catalogs corresponding to the exhibitions of great prestige such as Shenzhen International Watercolor Biennial 2013 and 2015, World Watercolor Triennale Korea 2015, FrabrianoInAcquarello 2015, Mexico City 1st International Watercolor Exhibit 2015, International Watercolor Society 2014, 2012 Shanghai Zhujiajiao International Watercolour Biennial, among others. Patricia is member of IGOR – International Guild of Realism (2008), as well as the Mexican Society of Watercolor Painters (2010). She was Representative of the International Watercolor Society in Mexico (2014 – 2015). Through her leadership the 1st International Watercolor Exhibit 2015 and the International Watercolor Meeting Asia – Mexico 2016 were created. Her work hangs in private collections in Mexico, United States, Canada, Belgium, Dubai and Saudi Arabia. She teaches watercolor and drawing through workshops and regular classes since 2013.